And here’s a very short story. We had these plays on highschool, and I had a scene with this classmate who was so nervous at showtime that she started saying my lines – as well as her lines, of course. So I had nothing to say. 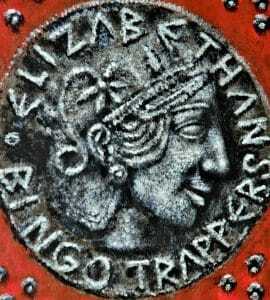 Anyhow, the Bingo trappers are very proud to present their new album Elizabethan (a co-production of Morc Records, Almost Halloween Time, Unread and Grapefruit Records – thank you again, Wim, Luigi, Chris and Simon). Oh, you can also listen to the songs on Spotify, and buy them via CD Baby. The forthcoming show is on saturday, dec 8 in the Nieuwe Anita, Amsterdam, Netherlands. We’ll bring fresh copies of Elizabethan and rock da house.